Almost 200 Exhibitors and visitors at Harrogate Christmas & Gift attended a hugely enjoyable social evening at the Old Swan last night with live entertainment and dancing until late. However, everyone was back into work mode at 9am this morning with the halls once again bustling with a fresh flow of visitors which included regional and national media. BBC Radio York, BBC Look North TV and BBC Radio 4 You and Yours programme attended the show interviewing a mix of exhibitors and buyers to gain a better understanding of the festive industry. All reporters attending appeared pleasantly surprised by the size of the event and the quantity of quality festive products on show. There are still two more days of the show to go, so if you haven’t already attended, be sure not to miss this fantastic trade event where you are guaranteed to wrap up your buying requirements for Christmas 2018. 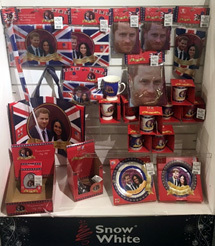 Harry and Meghan’s big day will be a major event for 2018 and consumers will be searching for souvenirs and keepsakes. 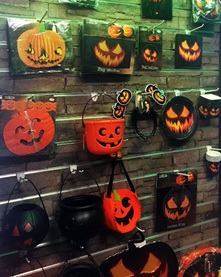 Don’t miss this great range of products from mugs and keyrings, to bunting, bags and flags. New exhibitor Puckator has captured the interest of retailers across the board and in particular its gorgeous unicorn range which is guaranteed to appeal to those who like a little magic. The range includes mugs, trinket boxes, cushions and much more. 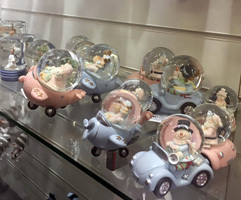 Pink and blue have definitely been popular colours at the show this year and Riffelmacher & Weinberger has had particular success with its new Utopia range of products including candle holders, cute angel figures and best-selling snow globes.